It’s not for lack of desire. And I’d be surprisingly fine eating the same lunch every single day (truth be told). But my life has changed in the last year, and carving out an hour or two (or three or four) on a Sunday to prep my breakfasts, lunches, and dinners isn’t doable, or desirable. If you’re like me, and a busy mom/boss lady/sleep deprived zombie, maybe you’re sick of believing that precious weekend hours should be spent slaving in the kitchen. I believe when you have just a few hours of quality time, it should be spent doing something fun for yourself or with the kiddos (because maybe your kids aren’t napping anymore – and for that I say, God bless you). “But Chrissa, you HAVE to prep if you want to eat real-food meals. You CAN’T stay on track without meal prepping!” You’re right, sort of. There must be a component to planning and prepping in order to succeed at eating a non-processed diet. But let’s reinvent the way meal prep is supposed to be – make it conducive to OUR time, our lifestyle. So I did just that. So how the heck to you meal prep without batch cooking, pre-baking, and assembling? Devote more time in the kitchen for dinner? No. Spend more money on already assembled food or delivery meal services? No. Eat the same thing over and over? No. Think small. Think one day at a time. Think simple. What the heck am I talking about? Meal PLANNING vs. meal PREPPING. 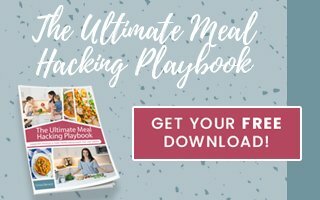 There IS a solution – a meal planning guide that takes ALL the guesswork, all the crazy instructions, all the hours of prep and throws it out the window. An 8-week meal planning system with real-food meals you can make in 30 minutes or less! Click HERE for more info! Probably not the thing you want to focus on after a hard day’s work, but hear me out. Taking 5 minutes to plan for tomorrow will make a world of difference. Pick a meal, any meal. Then break if down. Does it need to be marinated? Does it need a sauce? Do I need to thaw something? Does it need a variety of spices? Does it need to be boiled or roasted? Do things need to be chopped or diced? Does it need to be marinated? Make the marinade, pour into a bag, throw contents in and refrigerate. Does it need a sauce? Make the same beforehand or have everything assembled or set aside to make it the next day. Do I need to thaw something? Set it out or refrigerate overnight. Does it need a variety of spices? Measure out all the spices and pour into a small bowl. Cover with plastic wrap and keep on the counter. Does it need to be boiled or roasted (think rice, quinoa, veggies, etc)? Do this now. It’s the most time consuming step to making meals, but if you can throw it in the oven or in a pot of boiling water, and do your nightly bedtime ritual as it cooks, then throw in the refrigerator once cooled, you’ll save a ton of time later. Do things need to be chopped or diced? Grab your cutting board and get to work. Throw components in containers and refrigerate. Are you getting where I’m going with this? Ok, I admit, there is a little prepping element here – but SIMPLIFIED. Get in the mindset – “pick a meal, tackle 1-2 small things the night before”. While you’re at it, think about lunch. Find inspiration while you’re prepping for dinner. Throw a breast in the microwave on defrost to thaw quickly, cut into strips, throw in a pan with olive oil and cook (this takes 10 minutes, tops) then add veggies, leftovers, or throw on a bed of lettuce for a salad. 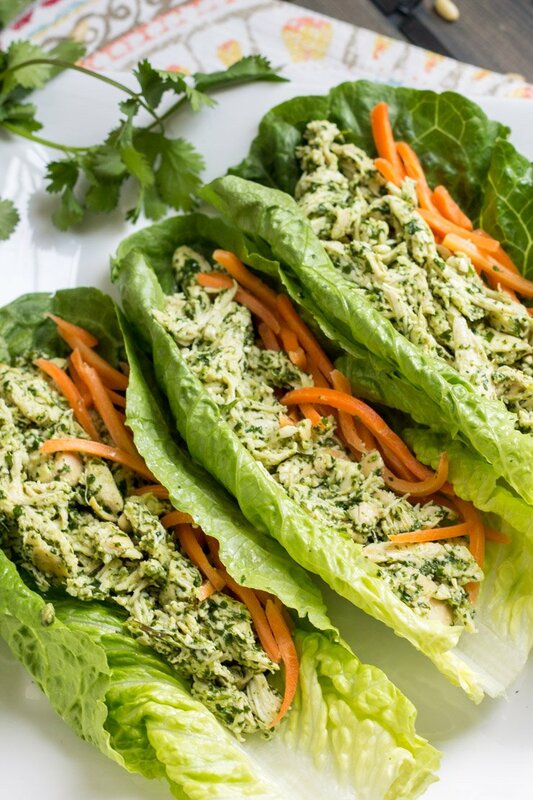 Add a few for lunches and pair with hummus or homemade ranch (or buy one from Primal Kitchen). Grab an avocado and combine it with canned tuna for a quick tuna salad with veggies. When you throw that bag of marinating goodness in your refrigerator, check for leftovers. Throw together something weirdly inventive use what you have. I love to pair leftovers with marinara, pesto, or a mayo-based creation (mayo + lime juice, mayo + hot sauce, mayo + fresh herbs). 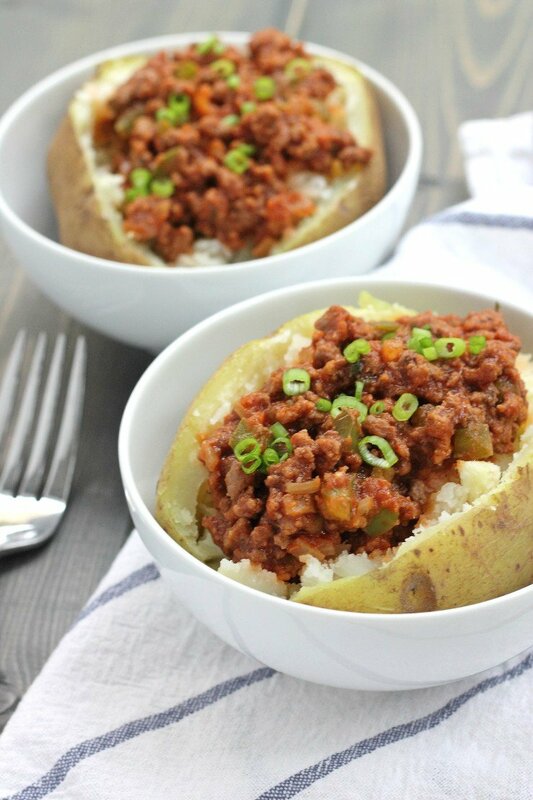 This makes leftovers taste new again, and gives you an easy way to throw something together that isn’t conventional, but still tastes yummy. What are some other ways I prep a bit, without the whole production? When I buy a big bunch of those beautiful leafy greens, I throw them in a pan, add some mad flavor, sauté it up, then cool and refrigerate. Sautéed greens can be paired with eggs in the morning, as a base leftovers for lunch, or used as a side for dinner. 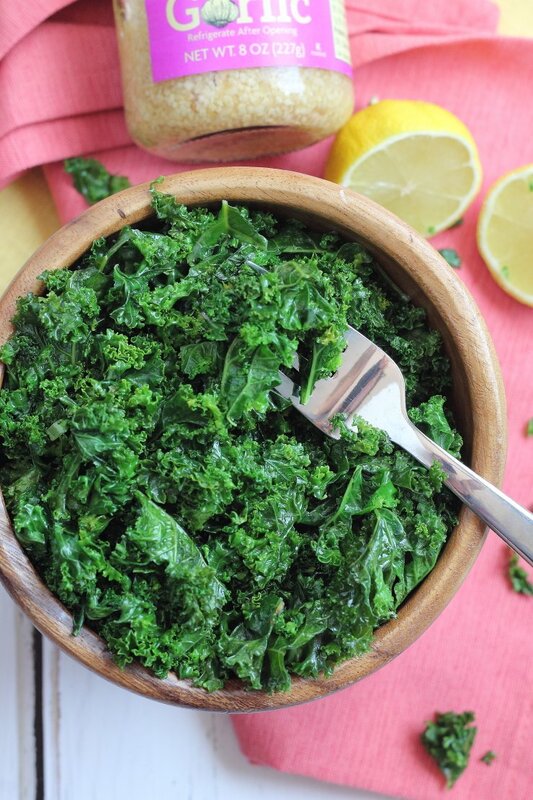 Click here for my favorite lemon butter sautéed kale with garlic. Whenever I DO make my own condiments or meal additions, I double the recipe and store in mason jars in my freezer. This is clutch for those days I’m not really feeling dinner inspiration and make something pretty basic like grilled chicken, or hamburgers. Paired with pesto, caramelized onions, or homemade salsa, and you have a basic meal full of flavor. Check out all the options you can make and freeze for later in this post – click HERE. If I do have a little time to roast veggies for dinner, I seriously scour my fridge for any and all veggies and throw them on a separate pan to roast. 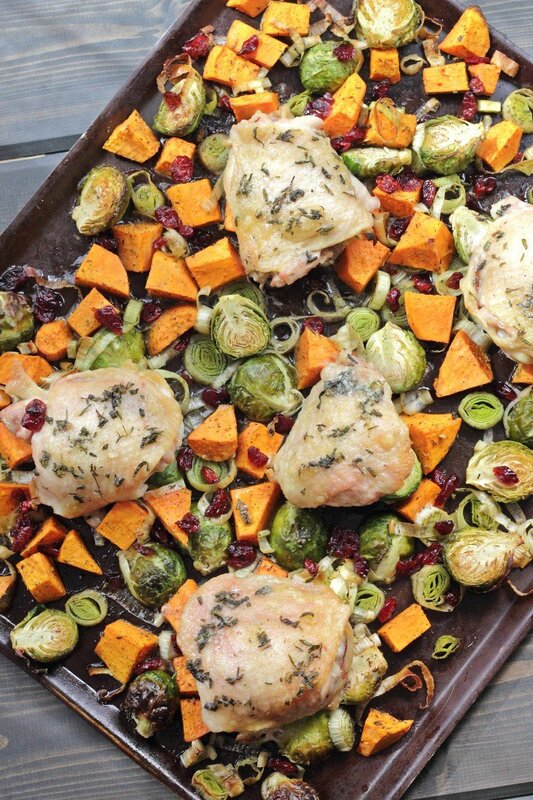 Because it’s SO easy to grab pre-made, roasted veggies from the fridge to reheat for lunches. 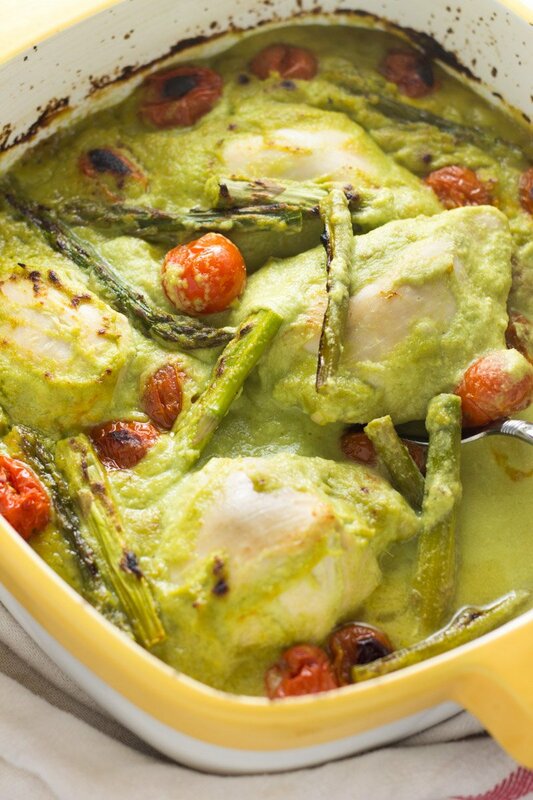 Plus roasted veggies can be great to puree and make into sauces (like in this Whole30 cream of asparagus baked chicken) or soups later! If worse comes to worse, and you literally cannot make something from scratch, desperate times call for desperate measures. Ok, it’s not really desperate, it’s smart 🙂 Sanity = everything. That’s why I created this Ultimate Trader Joe’s Whole30 Shopping List. Rest assured you actually can buy healthy food with squeaky clean ingredients. 1. base – cauliflower rice, quinoa, sautéed greens, broccoli slaw, softer veggies that sauté quickly like eggplant, finely sliced potatoes, cabbage, peppers, etc. 2. protein – ground beef/turkey/chicken, chicken breasts, pork chops, fish, etc. 3. meal enhancement – sauces (marinara, pesto, enchilada sauce), condiments (mayo, ketchup, dijon, coconut aminos), spices, etc. Liking my style but wondering how you can implement it yourself? I have the perfect guide that will transform the way you eat, help you save time, and give you every single step to make healthy cooking SIMPLE. 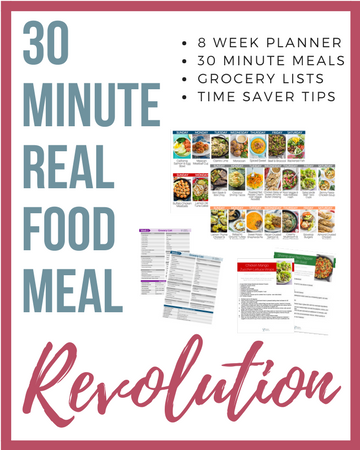 The 30 Minute Real Food Meal Revolution is an 8-week meal planner that includes 56 recipes without processed food, dairy, soy, or gluten that you can make from prep to plated in 30 minutes (or less). But wait, there’s more! Included in the meal planning guide is a calendar of meal photos, recipes, helpful time-saving prep tips, recipes that make killer leftovers, and weekly grocery lists. It’s everything you need to simplify and ‘healthify’. I created this guide after talking to hundreds of busy moms and boss ladies that desperately needed a system that was easy to follow, with tasty meals their families would eat, that didn’t required tons of prep or cooking time. If you’re shaking your head YES, click here to get it! Need more info? This page will have it all: 30 Minute Real Food Meal Revolution. So there you have it. 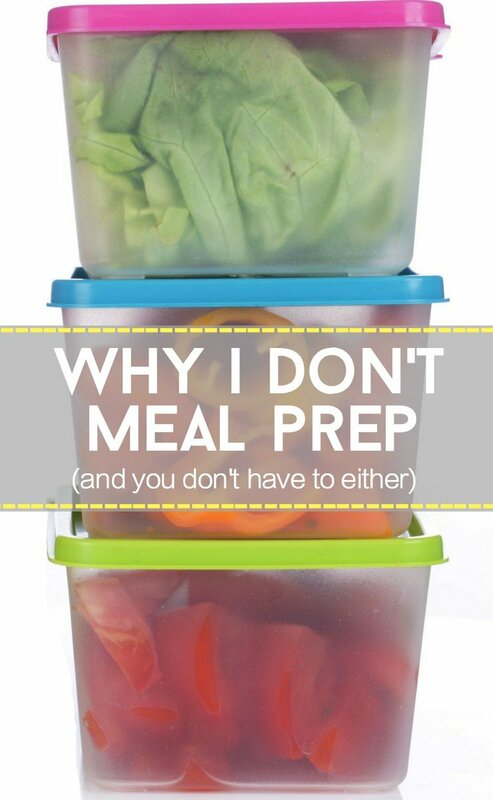 The whole novel on why I don’t meal prep (or don’t take hours to meal prep). Healthy eating doesn’t have to be difficult or time consuming or involve an insane amount of planning. Like what you’ve read? Be sure to share it and spread the word! Love this post! Like you I meal plan but do not meal prep. As a full time working mom, I am not spending my precious weekend time in the kitchen. So excited to release it. Thanks for the comment Sharon! Glad you found a good system that works for you! Chrissa this is SO great. I think meal prepping for some can make a world of difference, but sometimes that is just not possible! I can only imagine meal prepping with kids in the mix. Love this post so much <3 "YOU DO YOU"
Thanks girlfriend! I always always appreciate your support! Thanks Chrissa! This is great, and is usually my go to way to meal prepping as well. Our other “secrete” is to double our dinners and take it or a variation of it as our lunches the next day. Absolutely! That saves so much stress! Thanks Lauren! This is great! I feel like this is what I do without knowing I do it! I’ve tried to meal prep but it just doesn’t work for me! It’s reassuring to know that healthy opportunities can come without hours of meal prepping! Absolutely! Sometimes you just need to do what works for you! I agree with you. I have never done meal prep although I’m not very busy in weekend. I choose a simple dish or leftovers for lunch and eat with rice. I completely agree, and I do the same as you! I eat leftovers for lunches, make hard boiled eggs on the weekend for breakfast, and meal plan dinners so I don’t have to stress about what we’re making each night or run to the store multiple times a week. As a working mom, it helps so much! You are a smart smart mommy! Love these tips! Thanks for the comment! So many programs stress meal prepping and, frankly, that just stresses me out. I love your approach to being successful without spending your Sunday filling containers for the week. Thanks! So totally agree with this post! One thing I do to keep a dinner simple, healthy and quick is add a simple salad to the meal – sometimes it’s just a handful of spring mix with dressing! I rarely enjoy leftovers, so meal prepping didn’t work for me either. And, you are right on target with the roasted veggies! They do reheat well and my family will eat ALMOST ANY vegetable I roast! Bonus! That’s amazing! Roasted veggies for the WIN!